First up are a pair that went back-to-back in AQ Magazine. Meet Leafy and Stars of the Show! 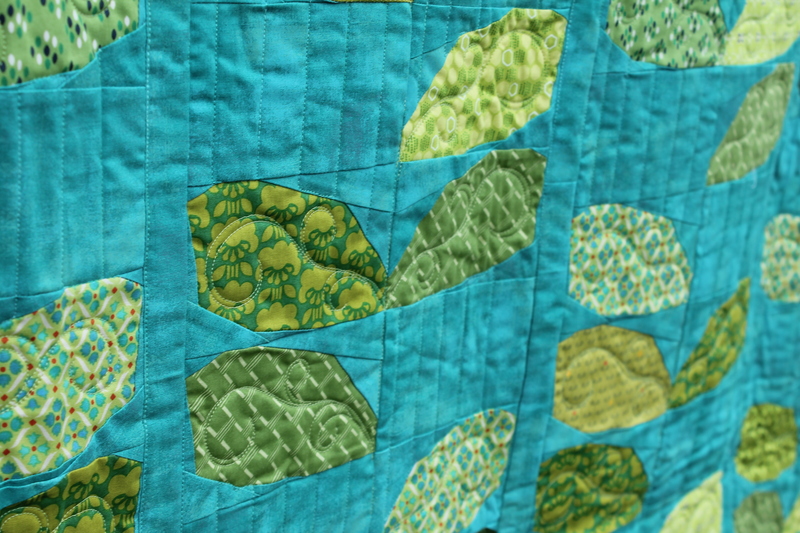 Leafy is a super fun paper pieced project, perfect for a beginner who wants to try it out. 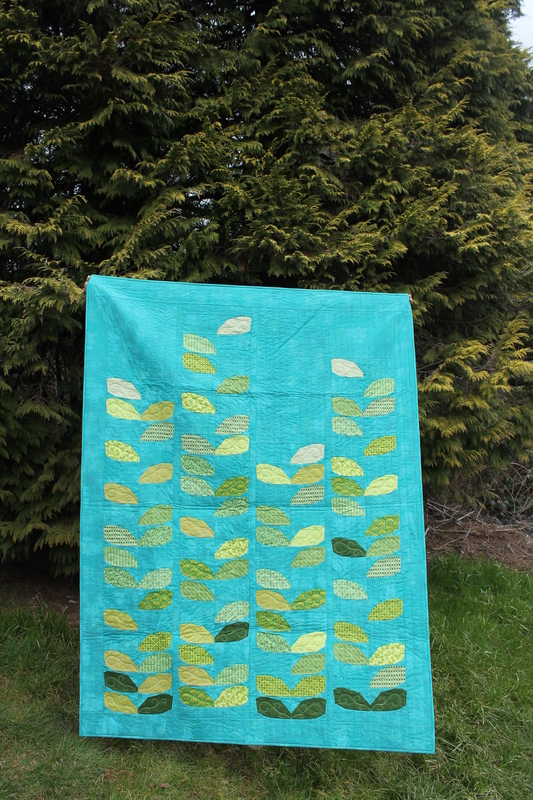 I used yardage to cut my leaves, but it would be lovely in scrappy. rainbow leaves anyone? 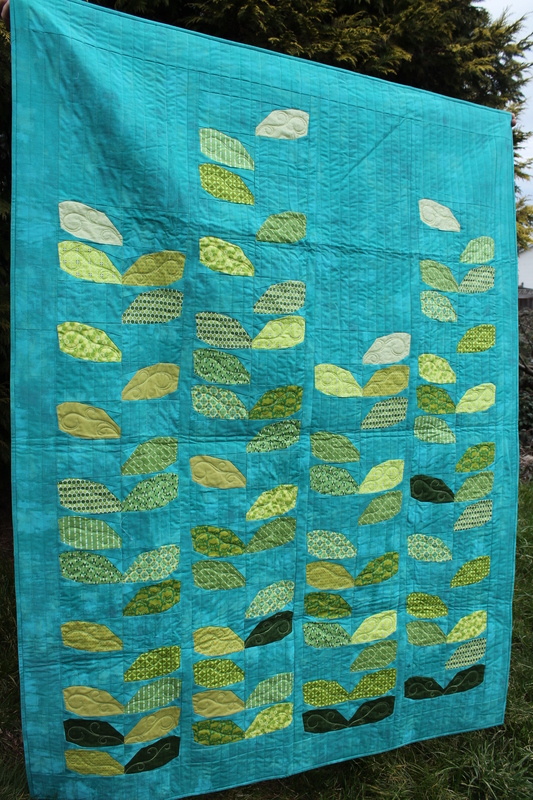 I used straight lines to quilt the background and a fancy swirl for the leaves. I backed it in flannel, to add some warmth and weight. This quilt was gifted to my babysitter’s son. The Leafy pattern can be found in the March 2018 issue of AQ Magazine. Leafy was also on the cover of that issue! 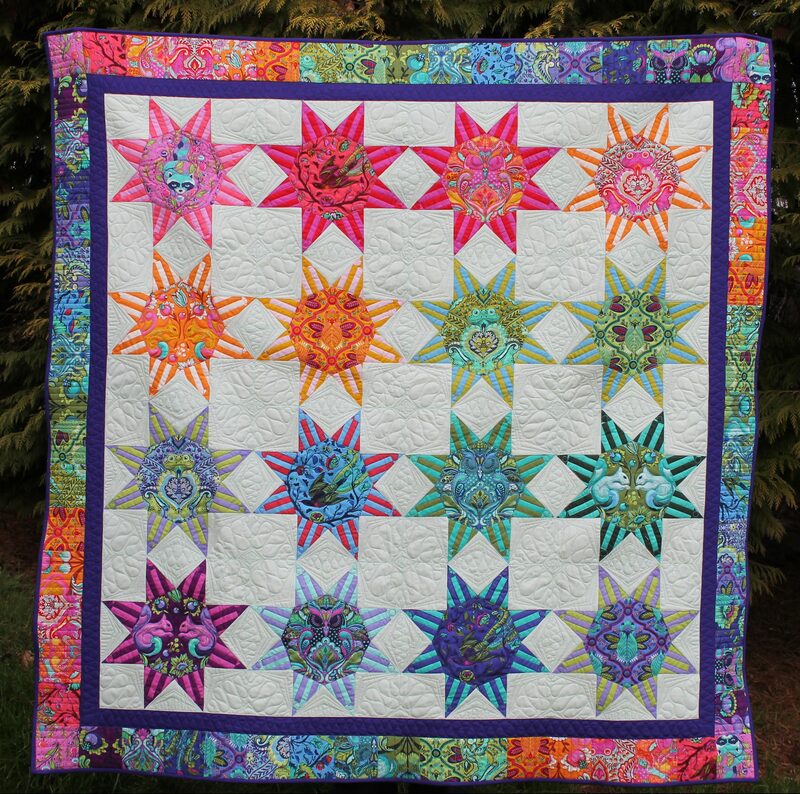 Stars of the Show was created specifically to showcase the All Stars collection from Tula Pink. I adore this quilt. I have a major thing for rainbows, and the colors in All Stars hit all the right buttons for me. I spent a lot of time custom quilting this quilt. I really wanted to have fun in the negative spaced. 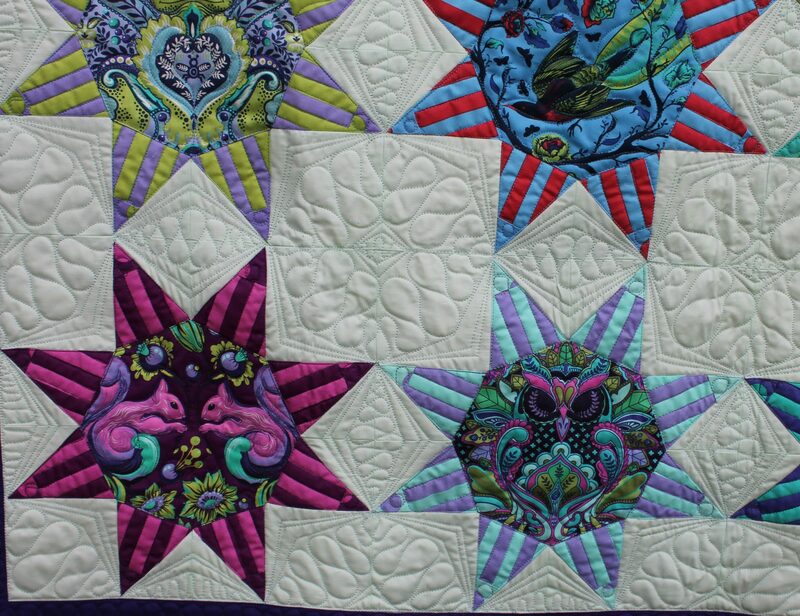 For me, this quilt is circus themed, with the striped and dotted star points looking like big top tents, and the animals starring in the center ring of each, so some fun curves were in order. I fussy cut each animal to fit in the center of each block. I machine pieced my quilt, but it would also lend itself to EPP as well! 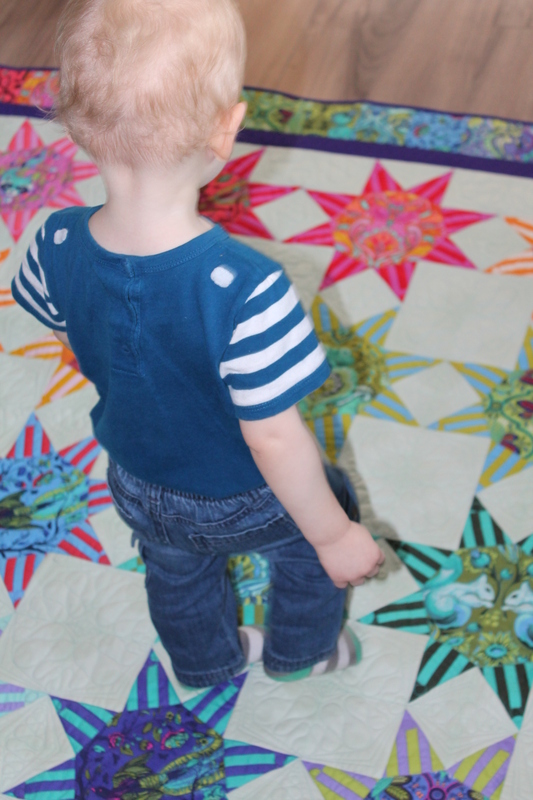 My little helper also loves this quilt! Rainbows for the win! Stars of the Show can be found in the May 2018 issue of AQ Magazine. And of course who could forget this stunner, Heat Wave! 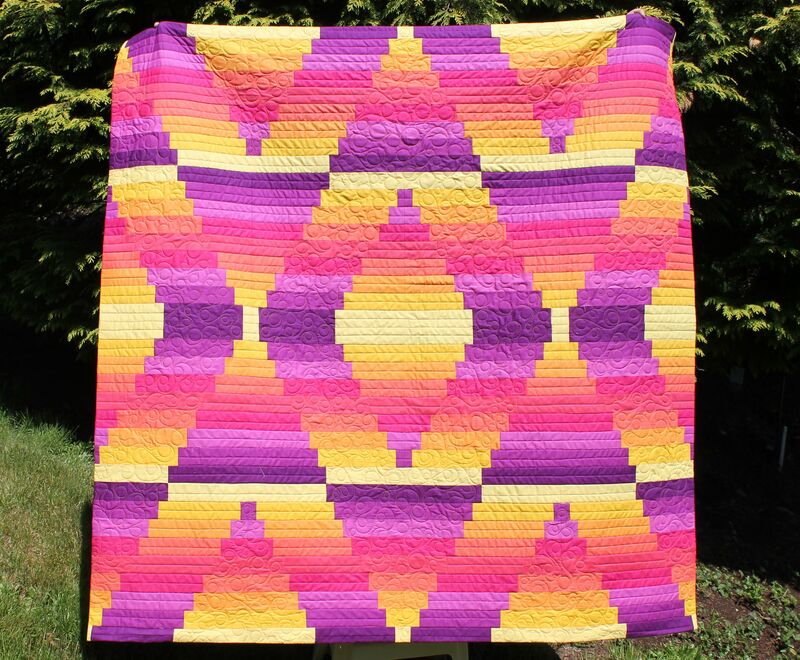 featured in the RJR What Shade Are You blog hop, American Quilter picked up the pattern. It can be found in the January issue of AQ Magazine. I’ve got so many more updates and quilts to share, as well as a brand new website that will be launching in the summer, so stay tuned for all the quilting goodness. You can still pick up a signed copy of my book, Child’s Play Quilts, on my Etsy site. and keep posted for my teaching and lecture schedule. I am speaking at least once a month for the next year, and I can’t wait to share my quilting cruise experience in August! you make such entertaining quilts Stacey , and such great quilting , major work ,love you Grams. Oh my GOSH!! 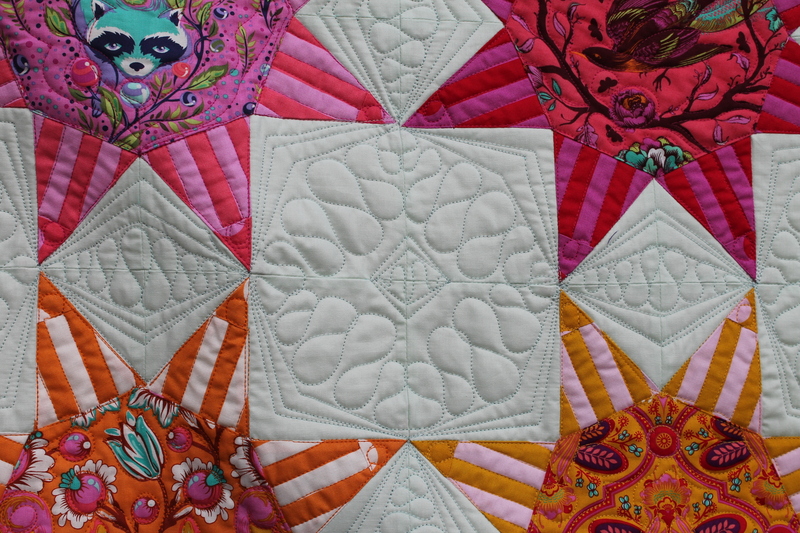 Yet again you have made some beautiful quilts with the most beautiful fabrics!! I absolutely LOVE the all stars quilt!! I think I’ll have to make that one after I finish the two Tula Pink fabric quilts I’m making! The first is your design: Prism, and I think the second one is too, it’s the skulls using All Stars!!! The talents of both you and Tula have blessed me tremendously!! Thank you! Wow! The quilt is really wanderful. It is so bright and that would be so nice to buy one for my daughter. Stacey, these are gorgeous! changing the subject, can you tell me how to find the Halo pattern that I love love?? Thanks! Welcome to my world of quilting fun! 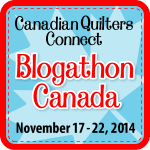 I am a quilter, author pattern writer, and designer. 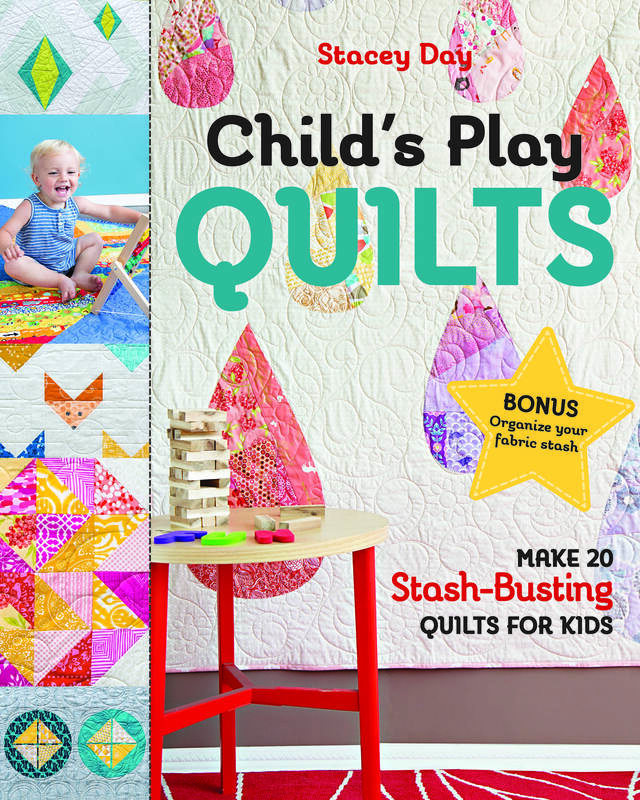 My book, Child's Play Quilts, is available at your LQS or online. You can find my collection of free patterns in the tabs below. I love to hear from my readers, so feel free to drop me a line! Thank you for stopping by, I hope you enjoy your time here at Stacey in Stitches. Enter your email address to have new Posts delivered right to your inbox!